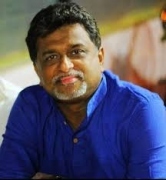 Goa News |How do Lamanis hamper Goenkarponn; Babu? 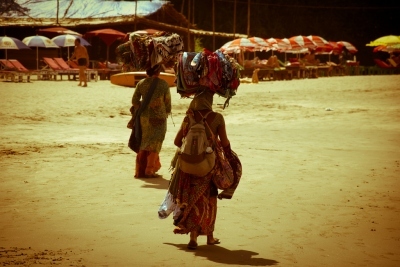 In fact what is most shameful and a disgrace to Goenkarponn is the way Goa is transforming from our traditional hospitable culture to looting culture, says SANDESH PRABHUDESAI in his EDITHOUGHT. First of all, the first-time tourism minister Babu Azgaonkar needs to be appreciated for hitting the nail in a right place, as far as Goa’s drug trade is concerned. He has demanded immediate suspension of a police officer in whose jurisdiction drugs are seized. He asks how any illegal trade can take place openly without the knowledge of the police. A real gutsy statement indeed. It needs to be seen in what manner Chief Minister Manohar Parrikar, who also holds the home portfolio, implements this suggestion practically. Secondly, Babu also needs to be condemned for his fanatic statement of throwing out of Goa the Lamanis and other migrants, who are supposedly not protecting Goenkarponn. And to strengthen his argument, he links it to the Goan habit of drinking without troubling others. Is Babu trying to create an impression that Lamanis are drunkards? In reality, they are the street vendors moving on the beaches and selling different colourful items to the tourists – Indian and foreign. And majority of them are women, who move around in their traditional style of wearing colourful dresses and jewellery all over the body. Do they drink and sell? In what way this act of the Lamani street vendors is hampering our Goenkarponn – the Goan ethos and Goan culture? नाक खंय आनी आदोळी खंय? The real fact is that the street vendors like Lamanis are eating into the business of the shopkeepers along the coastline. The same stuff, which the shopkeepers charge you a bomb, is available with these Lamanis at a much cheaper price. Most of these Lamani women are either totally illiterate or half literate. In spite of this, they have picked up English, and now even the Russian language, to reach out to their customers. One must watch Laxmikant Shetgaonkar’s film ‘Baga Beach’ where the Lamani trade is picturised in a most humanistic manner. Well, there may be some stray incidents of misbehaviour, just like how our Goans also misbehave. But these would be exceptions; not the rule. At large, the Lamanis are hardworking people; not the looters. In fact what is most shameful and a disgrace to Goenkarponn is the way Goa is transforming from our traditional hospitable culture to looting culture. The best example cited by reputed travel writers is the way our taxi operators are looting the tourists. It’s spreading in all other fields, from shops to hotels to restaurants etc. If Babu sincerely wants to protect Goenkarponn in the tourism industry, then he should take steps to stop this loot, not the ones like Lamanis who sell their products at a much reasonable rates. And definitely, the pervert tourism we are building with drugs, rave parties, child prostitution, casinos etc is certainly not Goenkarponn. It’s a disgrace to Goenkarponn. That’s the challenge Babu should take. And last, but not the least. It pains more when such statements come from a person like Babu Azgaonkar, who himself has come up a hard way and struggled through his political career. He made his way in politics as a leader of vendors in Margao, may it be small shopkeepers, cart sellers or street vendors. He was a saviour for this hard-working community in Goa’s commercial city. And the same Babu, after becoming the tourism minister of Goa, makes his first statement to throw out the beach vendors, calling them anti-Goan. And maybe the tourism minister Babu Azgaonkar should also do something about the sad situation with the murders of tourists that take place in Goa year after year.The last one was less than a month ago, before investing any more money promoting Goa as a safe holiday destination. This is the reason the numbers are declining and no mount of the hot balloon rides (which don't seem to be that safe either...at least not in Goa) or river cruises will make much difference when these murder cases hit headlines on the worldwide media in frequent intervals. Thanks for highlighting the truth regarding the Lamani community in Goa and the controversial statement passed by the tourism minister. I will mail u the complete article regarding the same and resolutions taken by banjara (Lamani) community in Goa. Kindly send me ur email address sir if possible. Lecturer in MES College, Vasco. Thanks for ur article regarding the harsh comments by tourism minister towards the Lamani community in Goa.. Our point is punish the crime if any found guilty but not the entire community. Does the minister feels that only Lamani community does the business on the beaches.. how he can target one particular community. It is unexpected from the minister and his statements have brought about great resentment and hurt the sentiments of ebtire banjara community in India..